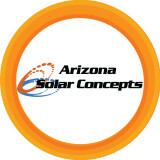 We help people in Arizona "Go Solar", APS Market preferred. Residential & Commercial Sales & Installation. Since 2006, SunPower® by Arizona Solar Concepts has been providing top-quality solar panel installation in Tempe and the surrounding areas. As the only SunPower® Master Dealer in the greater Phoenix area, they are uniquely able to offer some of the best solar equipment and most efficient systems in the industry. Whether you own a residential or commercial property, SunPower® by Arizona Solar Concepts can help you find the right solution that not only meets your energy needs, but your budget as well. In fact, they offer a number of convenient payment plans, including $0 out-of-pocket, to make your switch to solar easier than ever! When it comes to quality solar panel installation in Tempe, SunPower® by Arizona Solar Concepts is the name to trust. As a locally owned and operated company, they understand the importance of outstanding customer service. Their team of solar experts is available to answer your questions and walk you through their solar process. They can even help you understand your options for federal and state incentives, including various tax benefits. If you’re ready to make the switch to solar, call SunPower® by Arizona Solar Concepts today for a free, in-person consultation! Sun Valley Solar Solutions is an Arizona solar panel installation company started in 2006 by two former Intel engineers, Russ Patzer and Joe Messner. With millions of watts of installed solar power and hundreds of satisfied residential and commercial customers throughout Arizona, including Maricopa, Pinal, Navajo, Pima, Cochise, Coconino and Yavapai counties, Sun Valley Solar has become a major AZ solar contractor. Sun Valley Solar Solutions ranks 3rd in Arizona solar companies’ total installed kW volume in 2012 – jumping way up from 2011 when we ranked 7th in residential volume only — and this in same year that Arizona moved up to second place in overall solar install volume in the United States! (Arizona ranks slightly behind California.) 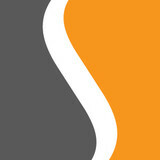 Sun Valley Solar Solutions was the highest volume SunPower dealer nationally from Jan – June of 2012. And, we are the 15th largest solar installer in the United States. But we’ll never be too big to take care of our customers personally. It’s great to be one of the biggest residential solar installers, but it’s even better to be one of the best. We continue to have one of the highest customer satisfaction scores in the nation, and it’s because of these customers that we continue to grow. As a solar energy company with over 25 year of experience, we understand the unique needs of Arizona homeowners when it comes to solar and green energy products. That’s why we offer a variety of eco-friendly products that allow you to reap the sustainable and renewable benefits of our abundant Arizona sunshine every single day. WHY CHOOSE ARIZONA ENERGY PROS + In business since 1977 + We are locally owned and operated + Our BBB is A+ Rating + Licensed Bonded and Insured + Providing solar solutions to residential and commercial customer Since 1977, Arizona Energy Pros has provided expert electrical service and solar energy installation throughout Arizona. As a full service residential and commercial electrical contractor, our technicians offer a wide range of services from new electrical wiring to electrical panel services. Arizona is a great place to go solar due to it's geographical location with almost 300 days annually of bright sunshine which is ideal for collecting solar energy. Arizona Energy Pros offers a variety of systems to power your home or business with solar energy. Contact us today to learn more! Senergy Solar is proud to offer free consultations to Arizona residents who want to see if solar power is right for them. As utility costs rise and solar power becomes more efficient, solar continues to grow in popularity. Getting your solar system set up now is a great way to ensure that you lock in an affordable rate. Recent legislation in the state of Arizona has caused an even greater increase in electricity costs. Summer months are hotter than ever and there seems to be no reversal in sight for these trends. The sooner your household seeks the clean and affordable energy option, solar, the better. Our Tubular Skylights can transform any dark room or living space into a brilliant bright vivid area. Our Elite Tubular Skylights are easy to install, there is no need to make any structural changes, and are maintenance-free. No matter how big your room is we have different sizes to fit your needs. Installing Elite Tubular Skylights in your home not only reduces your electricity bill, it also helps the environment by not consuming electricity during the day, you also increase health benefits by receiving natural daylight. Have a better quality of life by introducing natural sunlight into your home with our Tubular Skylights. A division of Green Energy Solar, Inc., Heliocol West is the most referred solar company in the Southwest with more than 30,000 satisfied customers. Heliocol West specializes in solar domestic hot water and solar pool heating and has promoted the use of hybrid solar energy (the use of two or more solar technologies) for more than two decades. As an exclusive, factory-authorized dealer of Heliocol solar pool heating products, Heliocol West provides installation and service to homeowners and large-scale commercial clients. All of the company's factory-trained technicians are certified by the Arizona Solar Industries Association. The company is licensed for residential and commercial solar pool heating, solar domestic hot water, solar electric and high-pressure misting and fogging. Heliocol West certifies utility rebate incentives and tax credits for fast and efficient refunds and includes city or county permits with "green tags" when applicable. Additionally, all manufacturers the company represents are ISO 9001:2000 and/or ISO 14001 rated and certified, guaranteeing high quality, independently-certified products. By upholding the highest levels of business ethics and conduct across all levels of the organization, Heliocol West has achieved a reputation for outstanding service. The company has been an accredited member of the BBB since 2000, with an A+ rating (the highest among solar contractors). Red Line Electric & Solar is the best choice for your electrical and solar needs in Arizona. We are a family owned and operated electrical contracting business, with over 60 years of combined experience. We pride ourselves in our honesty, integrity and high quality work, with 100% satisfaction guaranteed to our customers. When you choose Redline Electric and Solar, you can have peace of mind and be confident that you made the right decision. Sunny Energy is a residential solar company that is dedicated to helping homeowners save money on their electric bills. We believe in delivering superior performance by using the best design, installation, equipment, and financing options. We identify and select the best technology for each project that offers the best combination of value and performance. We also offer 100% Made in USA options. Since 2009, Solar Topps has been an employee-run, all-in-one solar integrator. As one of the the largest SunPower Elite Dealers in the West, we ensure the best customer experience by focusing on people, products and performance. We maintain our high standards by employing a talented team of highly-qualified, in-house solar professionals. Our customers receive the best-rated equipment and technology from top-rated manufacturers. We offer an in-house financing program to residential and commercial customers to best meet their energy needs and financial goals without the middleman. Our quality-focused approach is shown in thousands of our satisfied customers. With customized designs, competitive pricing, and flexible payment options, it’s no wonder we are the smartest way to go solar. 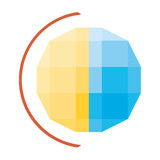 Family Solar is an independent rooftop solar consulting team based out of Tempe, AZ. Our network of solar partners allow us to offer the lowest prices on residential solar installation. Let’s say you want a solar electric system for your home. An off-grid system basically consists of solar panels and battery banks. These battery banks store the sun’s energy so you can use electricity at night or on a cloudy day. This system is designed to keep household electricity running for about two or three cloudy days; longer cloudy periods require a backup generator. To install an off-grid system, you’ll want to hire a certified Arizona solar energy contractor. Along with off-grid solar, wind and hybrid energy systems that include batteries and backup generators, there are also grid-tied solar and wind operations. Grid-tied systems are attached to your Fountain Hills, AZ utility company so if you produce more energy than you use, your meter goes down and you build up energy credits. Can you give me any information on Arizona solar rebate programs? 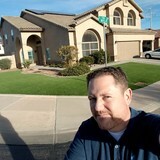 Find solar energy contractors in Fountain Hills, AZ on Houzz. Search the Professionals section for Fountain Hills, AZ solar energy contractors or browse Fountain Hills, AZ photos of completed installations and look for the solar energy contractor’s contact information.